We have always been a free-to-access service and hope to remain so. We have no paid staff. Our charity is run and managed entirely by volunteers. 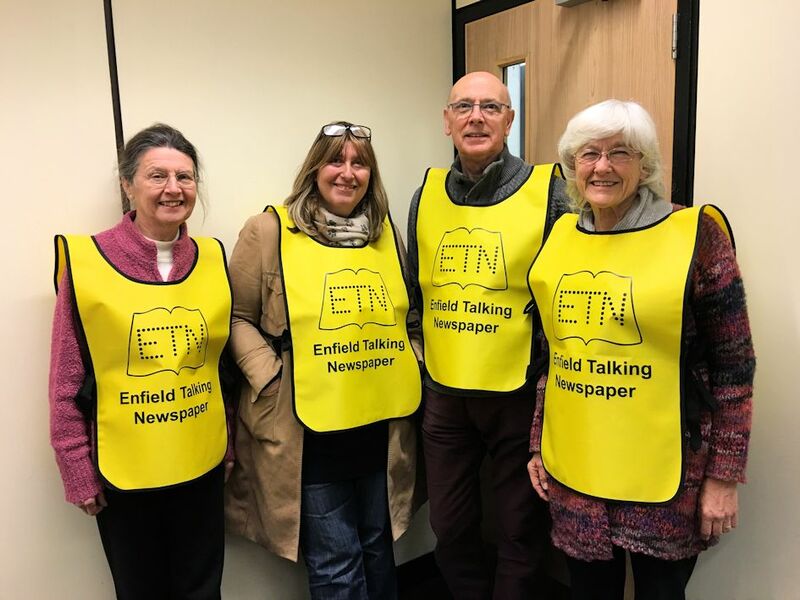 Around 35 volunteers help produce the Enfield Talking Newspaper each month each taking on a separate role for a few hours a week. We have no premises or a studio of our own. Enfield Council kindly let us use their premises out of hours to record and produce the Enfield Talking Newspaper. We have no postage costs. "Articles for the Blind" legislation means we are able to send our memory sticks through the post free of charge to anyone who is registered blind or partially sighted via Royal Mail. Whilst we are a volunteer-run organisation with no paid staff or studios, we do have running costs, including the costs of insurance, maintenance of our equipment and the purchase of new and replacement wallets, memory sticks and memory stick players. Our annual running costs are around £2,000 per annum. Each new listener costs around £50 in new equipment. Most of our listeners are on a fixed income. We do not make a charge to listeners for our service. We rely on the generous support of individuals and local organisations to fund our annual running costs and the set-up costs of each new listener. Access to local news and events information can be difficult if you are blind or partially sighted, even if you have access to a computer. Sites like Facebook and local blogs are not always designed to be accessible to people who are blind or partially sighted. This is why we provide a free, weekly audio recording of local news and events information. To some listeners we offer companionship, to others we are simply a source of useful information. To all we provide a valuable service, which is free to access. We know our work is appreciated from the feedback we receive. 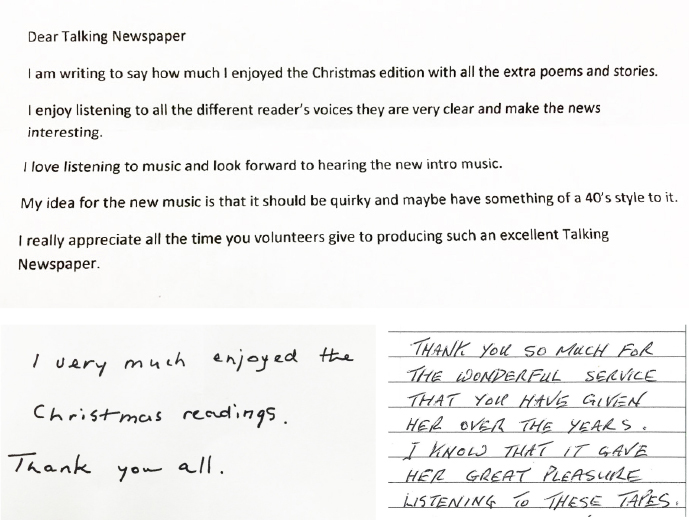 Can you or your organisation make a donation to The Enfield Talking Newspaper to help meet our annual running costs? Perhaps we can be your 'Charity of the Month'? Maybe you would like us to come along and give a talk to your group? If so please get in touch! The Enfield Talking Newspaper is a registered charity. Please Gift Aid your donation if you can - download a Gift Aid Form here.